Scotsman CU50GA-1 14 7/8" Air Cooled Undercounter Full / Gourmet Cube Ice Machine - 65 lb. Ice-O-Matic GEMU090 14 7/8" Air Cooled Undercounter Nugget Cube Ice Machine with 22 lb. Bin - 85 lb. Manitowoc URF0140A NEO 26" Air Cooled Undercounter Regular Size Cube Ice Machine with 90 lb. Bin - 127 lb. Manitowoc UYF0310A NEO Series 30" Air Cooled Undercounter Half Size Cube Ice Machine - 290 lb. Manitowoc IYT0420A Indigo NXT Series 22" Air Cooled Half Size Cube Ice Machine - 120V, 460 lb. Manitowoc IYT0500A Indigo NXT Series 30" Air Cooled Half Size Cube Ice Machine - 120V, 560 lb. 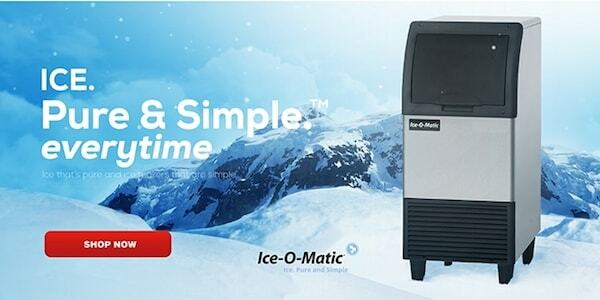 IceMachinesPlus provides a huge selection of Commercial Ice Machines and Ice Maker Dispensers at wholesale prices. Plus, we offer a large variety of top quality commercial foodservice equipment. If you are starting a new foodservice business and need new equipment and some expert guidance, or if your foodservice business has been in operation for years and you need to upgrade your commercial equipment, IceMachinesPlus and our expert customer service team can help you either get started or expand your commercial kitchen. Warm soft drinks hardly encourage diners to return again and again to enjoy your restaurant or cafe. However, investing in a professional ice maker is a big deal for smaller establishments. Powerful ice machine models can pump out dozens of cubes per minutes or thousands at a time so every guest has plenty to fill their glass. Don't be afraid of choosing the wrong commercial ice maker when you can shop with reliable and trustworthy sources like Ice Machines Plus. The experts can advise you on exactly which model to choose with consideration of your budget and your business. To the team at IceMachinesPlus.com, the best customer is a knowledgeable customer. So we have provided several resources to assist you in making informed decisions. We have many articles, blog posts, checklists, and guides to help you make the best purchase for your business, whether you own a restaurant, manage a healthcare facility, run a coffee shop or manage a hotel. 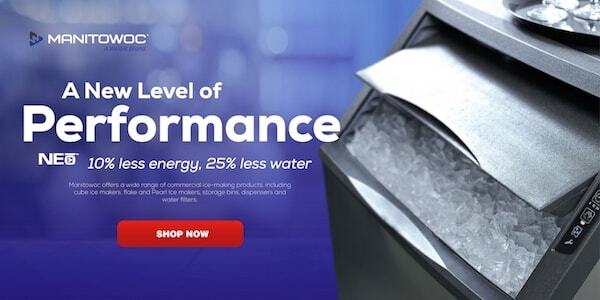 Check out the links to our Ice Expert Center, our Ice Machines Blog or our online Buying Guide!